Tara River Canyon. Tara canyon photo. Album: Montenegro Photos Tara River Canyon. Tara canyon photo. The Tara River Canyon, also known as the Tara River Gorge, is a canyon on the Tara River in Montenegro and Bosnia and Herzegovina. It is 82 kilometers (51 miles) long and the last 36 kilometers constitute the border between Bosnia and Herzegovina,Serbia and Montenegro. The canyon at its deepest is around 1,300 meters (4,300 feet) deep. 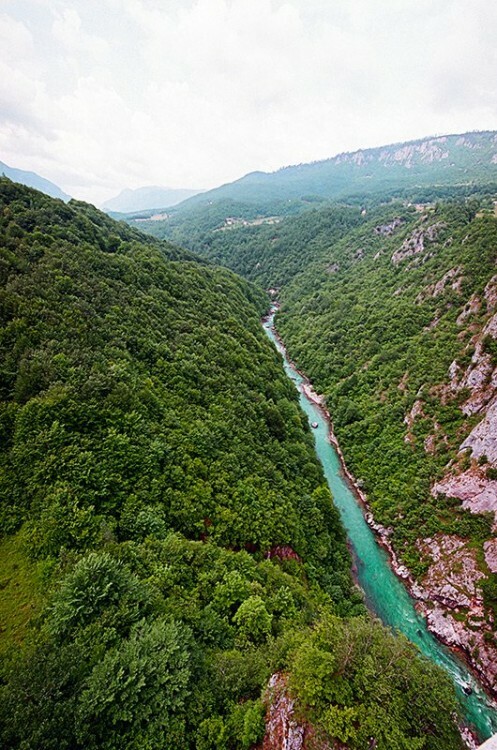 These parameters make the Tara River Canyon among deepest river canyon in Europe and indeed the world.